The Pilbara region has been gaining a lot of attention in the last few decades. Here’s a quick rundown of its history and what’s going on now. As exploration continues to ramp up throughout the country, the state of Western Australia has been gaining extra exposure through its coveted Pilbara region. Spanning over 500,000 square kilometers with a population of less than 100,000 people, the Pilbara has proven to be an undervalued, underexplored region in the last few decades. Many major miners have gotten in on the area’s resources in recent years with ton(ne)s to show for it. With so much activity in the area lately, it begs some questions: Why did it take so long to be discovered in the first place? How did the hype begin? While there is evidence indicating that Aboriginal populations have occupied the Pilbara for thousands of years, some suggesting over 40,000 years, European explorers didn’t arrive in the region until the mid-1800s. It is believed that Francis Thomas Gregory, who documented an 1861 expedition through the region, was the first European to explore the area. The potential for mining in the Pilbara did not become apparent until almost a century later, when government surveyors examined Mount Goldsworthy in 1938 and discovered an iron content of 65.66 percent with estimated reserves of more than 6 million tonnes. It was that same year, however, that Australia’s federal government prohibited the export of iron ore with World War II on the horizon. Fast forward to 1957, when prospector Stan Hilditch discovered a major iron ore deposit at Mount Whaleback while searching for manganese, according to BHP (ASX:BHP,NYSE:BHP,LSE:BLT). Hilditch kept the discovery hidden until the early 1960s when the iron ore export ban was lifted, and, with business partner Charles Warman, began investing in the area. Mount Goldsworthy was successfully obtained in a 1962 joint venture by Consolidated Goldfields Australia, Cyprus Mines Corporation of Los Angeles and the Utah Construction and Mining Company of San Francisco, together called the Mount Goldsworthy Mining Associates. Four years later, the trio would open the Goldsworthy mine, with the mine’s first ore shipment taking place in August of that year. The years that followed saw BHP obtain majority ownership of what later became the Mount Whaleback mine, and another major investor make its way into the area, Rio Tinto (ASX:RIO,NYSE:RIO,LSE:RIO), which opened its first Pilbara iron ore mine, Mount Tom Price, in 1966. The Pilbara is a vast area that hosts several different commodities, especially base metals, but the region is still heavily known for its abundance of iron ore, petroleum and natural gas. Iron ore is known as one of Australia’s most prominent exports on a national scale, and, according to a 2014 report from Regional Development Australia, approximately 95 percent of it is produced in the Pilbara. Similarly, 70 percent of the country’s natural gas is produced in the region. With numbers like those, it’s not surprising that international mining hotshots like Rio Tinto and BHP have made long term investments in the area. BHP prides itself on having been involved with Pilbara’s iron ore deposits for over 65 years, referring to the commodity as a “constant pillar” in its operations. Meanwhile, Rio has been slowly but surely building up its presence in the area with 17 iron ore mines, four port terminals, a 1,700 kilometer rail network and related infrastructure. The most recent addition to the company’s Pilbara repertoire came early last October, when Rio, in conjunction with Hancock Prospecting, opened the Baby Hope mine as part of its Hope Downs iron ore operation. Other companies with significant stakes in the area include Fortescue Metals Group (ASX:FMG,OTCQX:FSUMF), which owns three mine sites, a heavy haul railway and the five berth Herb Elliott Port in Port Hedland, and Atlas Iron (ASX:AGO), which currently operates its Mount Webber and Abydos mines in the Pilbara. Also worth noting in the region is the abundance of junior mining companies trying to make a name for themselves. 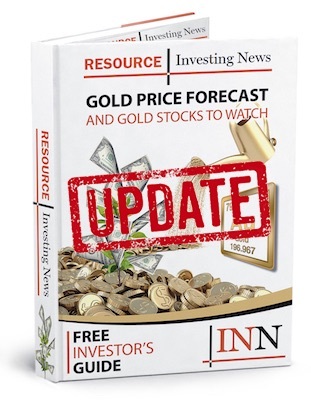 According to John Kaiser of Kaiser Research, the two biggest juniors worth watching are Novo Resources (TSXV:NVO,OTCQX:NSRPF) and Pacton Gold (TSXV:PAC,OTC Pink:PACXF). “There’s Novo; it has the highest valuation. [But] until they solve that problem of measuring the gold in the conglomerate, the valuation is way too high,” Kaiser told the Investing News Network. Last November, Kaiser Research released a report explaining how Novo was struggling to measure gold resources within its Comet Well conglomerate, part of the company’s Karratha gold project. According to the report, the company needs to do bulk sampling to obtain a proper resource estimate; however, bulk sampling requires a mining license and the conglomerate only has exploration licenses right now, leaving Comet Well at a standstill for the time being. On the flipside, Kaiser recommended Pacton on the basis of its land acquisitions over the last year. While a lot of the hype surrounding the Pilbara is focused on its mining and resource sector, both the region and the state of Western Australia are taking on initiatives to help the area grow beyond this. From 2007 to 2013, the Pilbara’s population grew by almost 10,000, peaking at just over 53,000 and establishing a need for more supported social and economic infrastructure. Accordingly, the Western Australian government created the Pilbara Cities program in 2009 with a AU$1.7 billion commitment designed to help revitalize the area and make it more suitable for long term growth and sustainability. Helping ensure the delivery of over 100 projects funded under Pilbara Cities is the Pilbara Development Commission (PDC), whose main role is to coordinate and promote economic development within the region. Terry Hill, CEO of the PDC, described the commission’s goal for the region in a statement. “The vision is to transform Karratha and Port Hedland into cities of 50,000 each by 2035, with other towns in the Pilbara such as Newman, Tom Price and Onslow growing into more attractive and sustainable communities,” he said. Another initiative under the program is the Pilbara Hinterland, a $12.5 million agricultural development initiative. Three separate projects were developed under this particular initiative, two of which revolve around establishing new sites near old mines to use surplus mine dewater for possible cropping options like fodder production.